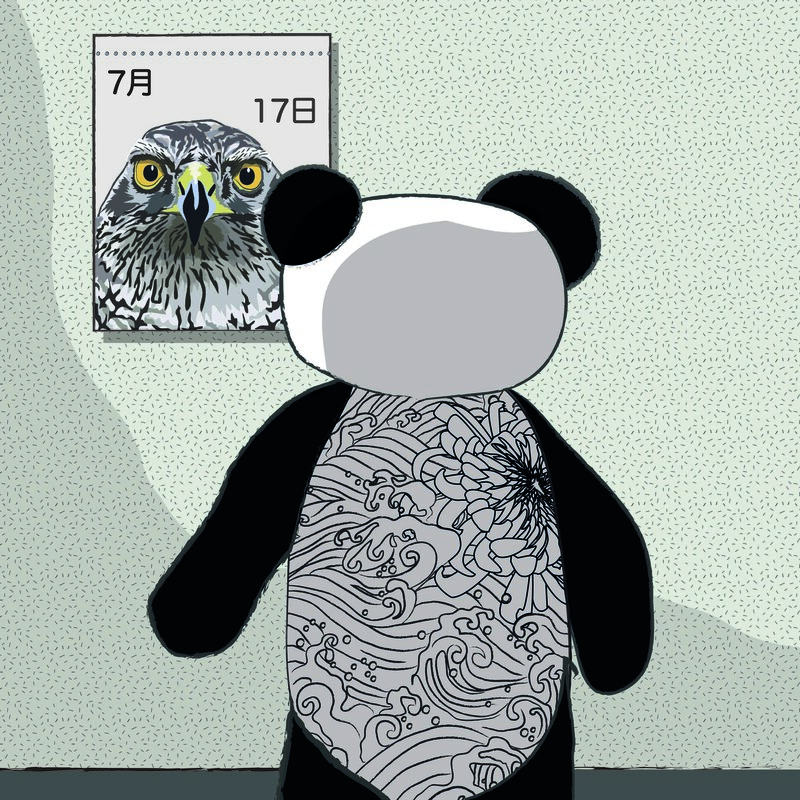 On the morning of 17th July, Kiku and Miko-chan found Boss Panda looking at the calendar on the kitchen wall, which had a picture of a large bird on it. As they sat down to breakfast, the large bear told them that they would be going on a little trip to visit the subject of today’s almanac entry. 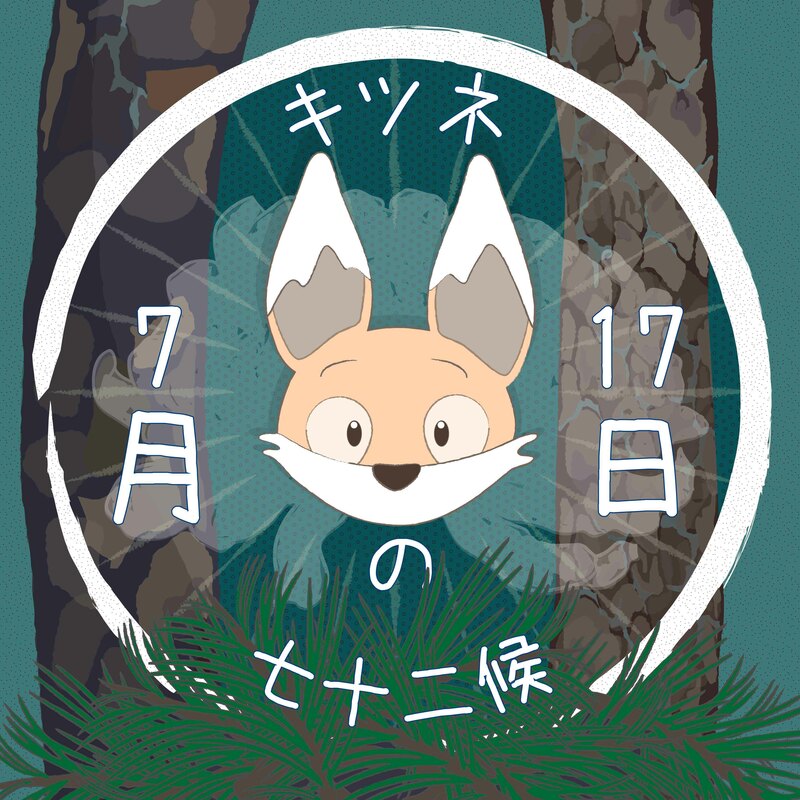 “You don’t mean we are going to see hawks do you?” Large birds of prey made the little fox nervous, and he wasn’t keen on visiting any in the wild, even though this seemed unlikely in downtown Tokyo. 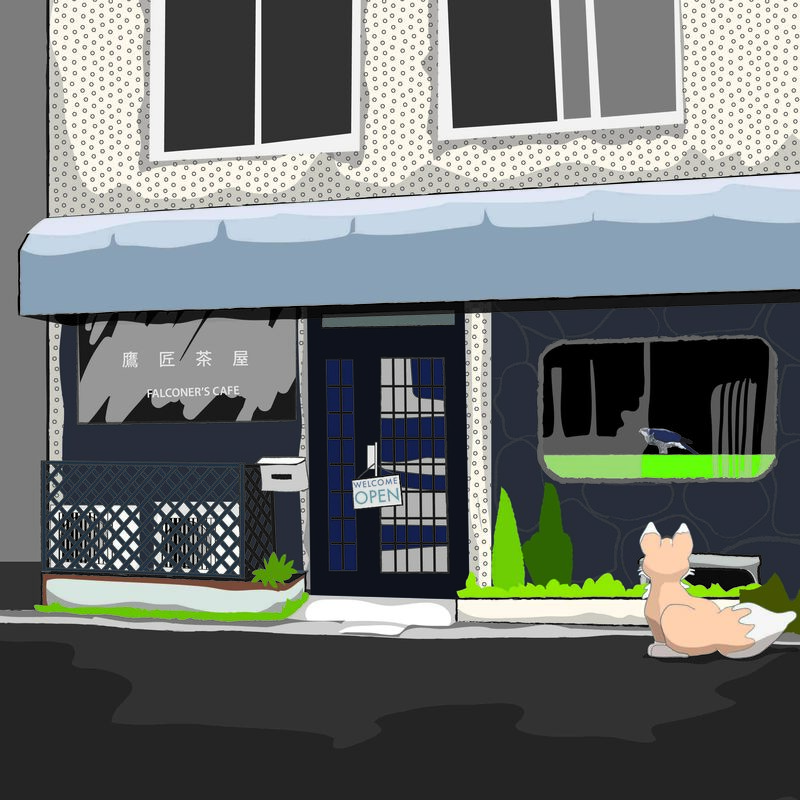 “Well,” explained the old panda, “there is a place in town called Takasho-chaya, which means ‘falconer’s café’, where you can get a drink and meet some of the owners birds. “Don’t worry,” he added, when he saw the look on the pairs faces, “they are in a special little viewing area next to where you sit and can’t harm you”. The two friends relaxed a little at this. Later that day, the three arrived in the area of Tokyo known as Mitaka city, and took a stroll to the café. After ordering their drinks, they looked through the glass partition through to where several large birds of prey sat preening their feathers. 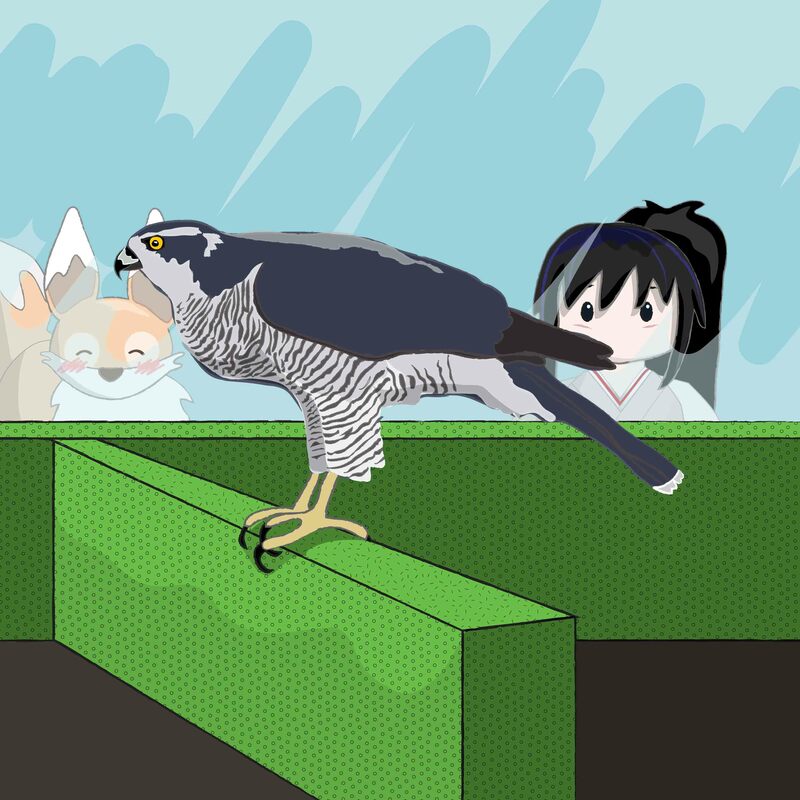 Boss Panda explained that the hawk of the almanac referred to the northern goshawk, which has had a long relationship with falconers in Japan. 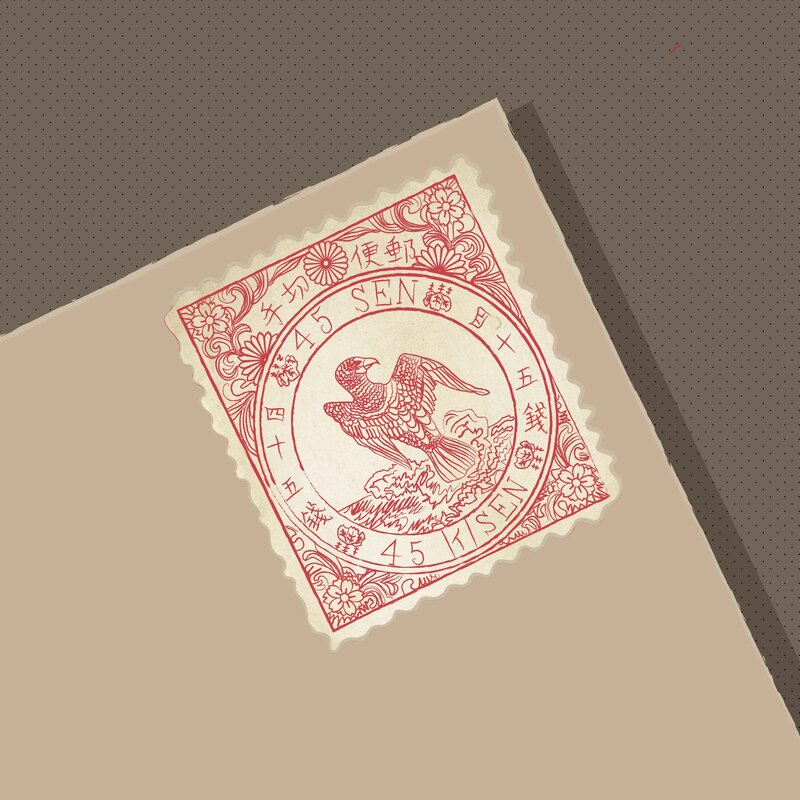 In 1875, when Japan first started receiving and handling overseas mail, there was even a stamp with a goshawk on it. The territory of the goshawk ranges over the whole of Japan, and chicks are generally born in May and June. The almanac refers to them studying and learning because they are now learning skills from their parents in readiness for leaving the nest. 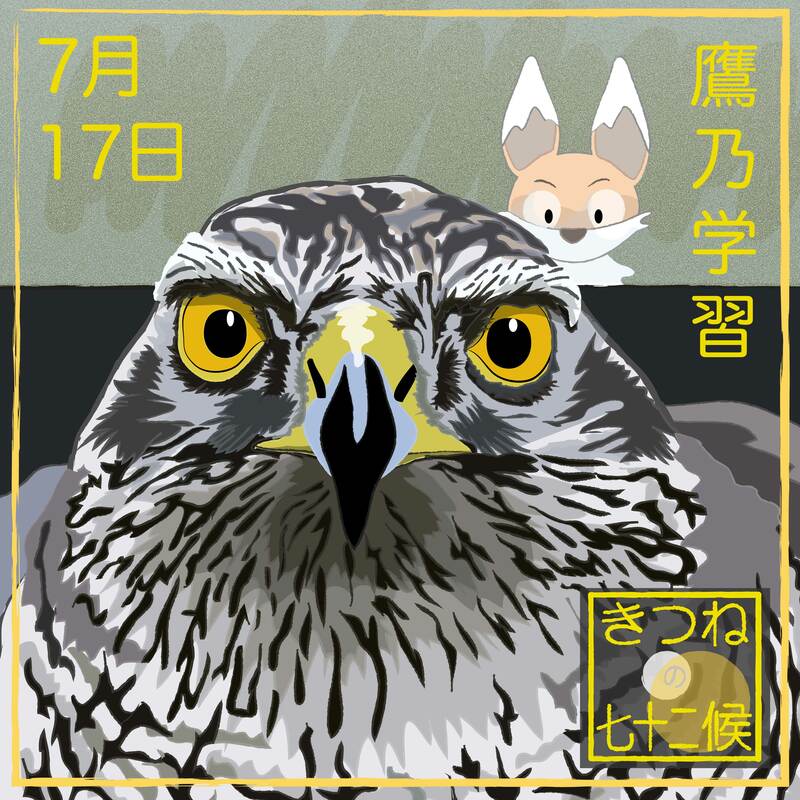 Mitaka is so named because the area was used as hunting grounds for the shogun to practice falconry. Take an Odakyu bus from the South Exit, going in the direction of Kyorin Inokashira Campus and get off at Nihon Musen Mae, from where it is a one minute walk. and get off at Nihon Musen Mae, from where it is a one minute walk.